One of the great pleasures of being a writer is interacting with fellow authors — and on February 4th of last year I had the very great pleasure of interviewing my fellow epic fantasist, UK author, Elspeth Cooper. “… Elspeth Cooper, … like me, is a new name on the international Fantasy scene. 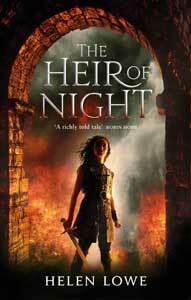 Again like me, Elspeth is currently writing a four-book epic Fantasy series, The Wild Hunt (Gollancz.) Songs of the Earth, the first novel in the series, was shortlisted for the Gemmell Morningstar Award, for Best Fantasy Debut, in 2012.